Hi everyone, my name is Jonathan Nascone, and I’m a senior character artist at Cryptic Studios working on Neverwinter. 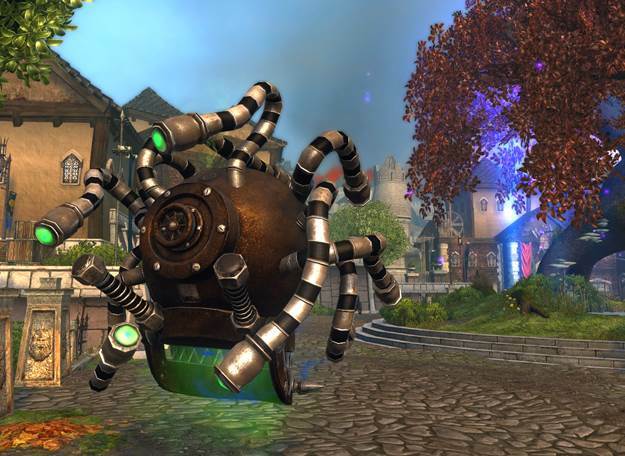 In this blog, I will walk through our process of taking the Beholder Tank (an awesome prop made by Mat Smith for PAX Prime) and turning into a digital asset in Neverwinter. 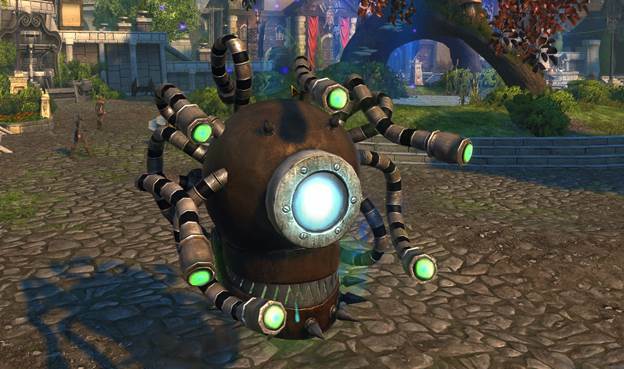 We wanted to stay as true as possible to the original prop while at the same time imagining how the tank would practically move around inside Neverwinter. 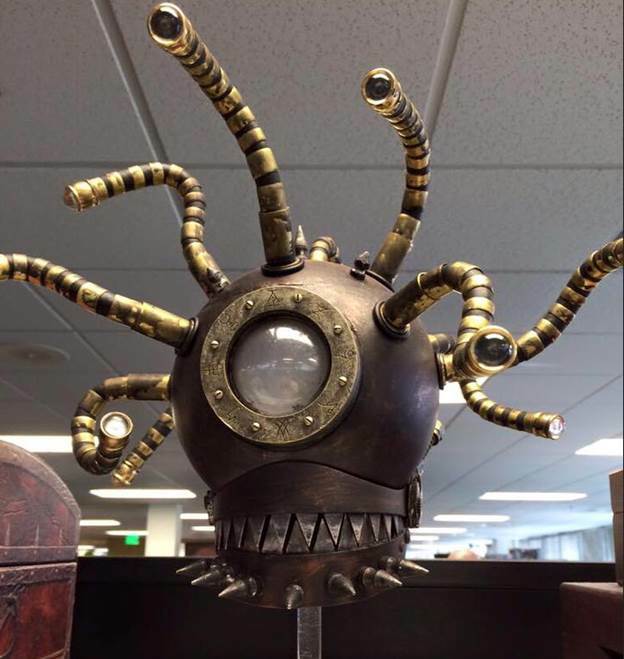 We were very fortunate to receive a plethora of reference photos of the Beholder Tank from our friends at Wizards of the Coasts which provided us insight on how to re-create it digitally. After the reference was gathered, I began building the tank in 3D using Zbrush. While modeling, I am always thinking about how the tank would move if I was inside it. If you look closely on the back side, you can see ventilation ducts to allow oxygen for the passengers inside. I also considered how the jaw hinges would operate when opening and closing, all in an effort to bring the Beholder Tank to life. I’m sure you may have noticed some parts like the arms and teeth were left out of the initial 3d sculpt. Since they are the same part copied multiple times, I will only create one piece and then duplicate and position them on the low poly mesh next. Once the high resolution sculpt is complete, I begin the low poly model with the addition of the details I mentioned above. Now that the low poly mesh is created I can start the rewarding process of texturing the Beholder Tank and bringing its materials to life. I once again go back to the reference photos and study how the copper and metal bits read, and try to recreate them in 3d. 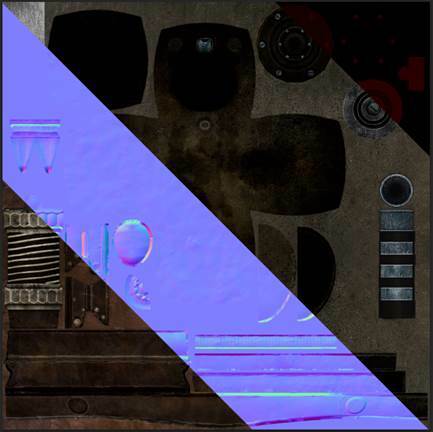 When I’m finished the final result will consist of a few texture maps that are then applied to a material in game. Finally, everything comes together! 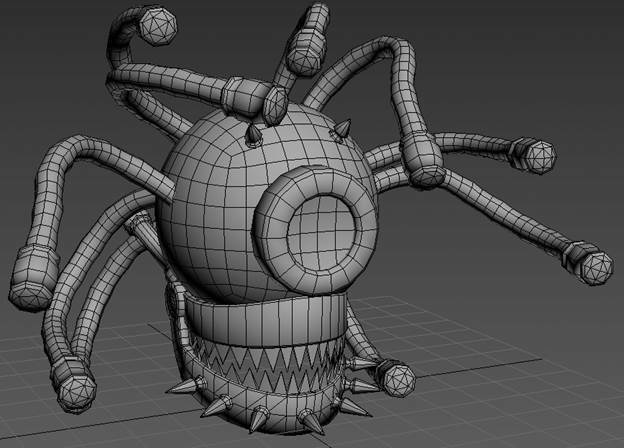 Starting with the amazing model by Mat Smith, moving to the massive amount of reference and details from Wizards, and lastly some practical re-imagining of how the Beholder Tank would function in Neverwinter, you get the digital asset you see in game!